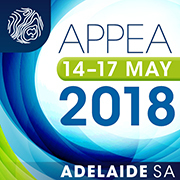 APPEA 2018 is open for business! The APPEA 2018 Conference Program will deliver insightful analysis, case studies and debate on the trends that are reshaping the oil and gas industry in this era of far-reaching change and disruption. The conference theme is Resilient Business – Success in the New Energy Market. The APPEA Conference & Exhibition is the Australian oil and gas industry’s premier annual event. It attracts delegates from across the country and around the world, and is the southern hemisphere’s largest annual upstream oil and gas conference. Learn, discuss and connect through a world-class program of presentations, panel discussions, and key networking events. If you work in the Australian oil and gas supply chain, make the informed decision and secure your place at APPEA 2018. To view the program or register, please see this link.